People are being encouraged to take a short walk to see the bluebells at the Outwoods in Loughborough this spring. Charnwood Borough Council’s ranger service is hosting a guided bluebell walk at the Outwoods on Thursday April 25 at 10am. 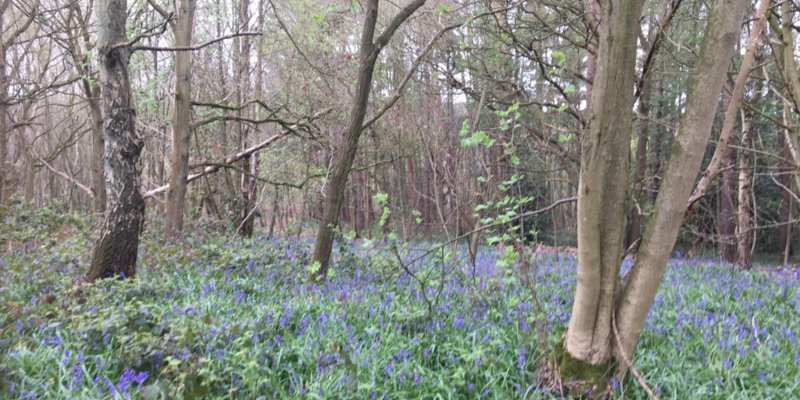 Matt Bradford, head of cleansing and open spaces at the Council, said “Each year our rangers host a guided walk to showcase the bluebells at the Outwoods. The beautiful display of bluebells which are at the north side of the ancient woodland have started to appear already and should be in full bloom in time for the walk. The walk will start at 10am from the Outwoods car park on Woodhouse Lane and people are asked to meet near the new information board. The mile-long walk lasts for around an hour and has a couple of inclines. Two all-terrain mobility scooters are available for people with mobility issues and will need to be booked in advance. To book a scooter or for more information on the bluebell walk please contact the Ranger Service on Charnwood.rangerservice@idverde.co.uk or 07890999176.